Finding out you have prostate cancer can be devastating. However, it is a very treatable disease. In fact, almost 100% of patients who have the cancer discovered in its local and regional, or early stages, will be cancer free after five years of treatment. When the cancer is caught in its early stages, external beam radiation therapy, abbreviated as EBRT, is often used as treatment. 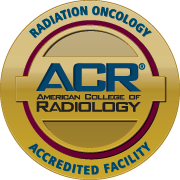 The radiation therapy directs radiation onto the tumor by using a high powered x-ray machine. The Advanced Prostate Cancer Institute, a medical center in Central Florida, will treat early stage prostate cancer patients with radiation therapy. At the Advanced Prostate Cancer Institute, the staff will first go through the treatment process with their patients, and show them video footage of what will occur during their treatment. This is done in order to ease the patient’s concerns and answer any question they may have about the treatment process, as the staff sees patients as their friends, and treat their jobs as a calling. After they walk through the process with patients, they will then do a CT Simulation. This is done to give the radiation therapy group information on the shape and location of the tumor. The next step in treatment is to have one more “Q and A” session with the patient, in order to validate that the treatment plan is correct. Doing a CT simulation and a “Q and A” generally takes one week. The actual treatment process, which typically lasts nine to ten weeks, usually begins the next day. However, if the patient has already had a prostatectomy, which is the removal of a portion of the prostate gland, treatment will typically last eight to nine weeks instead. However, the CT Simulation and prep time will be the same, one week, for all patients. The Advanced Prostate Care Institute can treat patients who are dealing with prostate cancer, using external beam radiation therapy. The process of running CT simulations and completing radiation therapy takes eight to ten weeks depending on the patient. If a patient has had a prostatectomy, their treatment time is usually shorter. Their staff treats prostate cancer not as just a job, but as a calling, and treat their patients as not just patients, but as their friends. At http://advancedprostatecancerinstitute.com/, you can get all of your questions asked about prostate cancer, its treatment, and what they can do to help treat you.